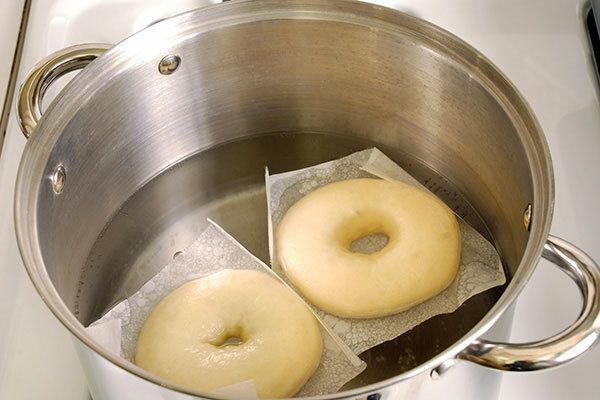 Did you know that bagels are first boiled for a short time then baked? 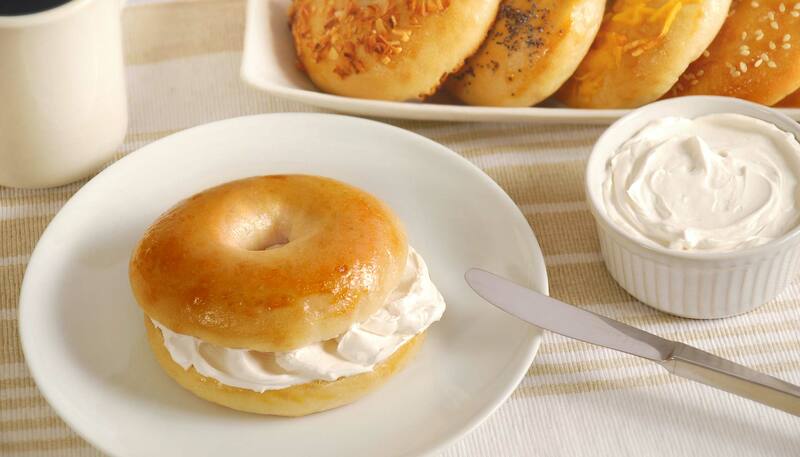 Doing so allows bagels to have that dense, chewy interior with a crispy exterior. The unique shape with the hole has been around for hundreds of years and is preferred for easier handling and transportation, and makes the bagels more appealing on the displays. 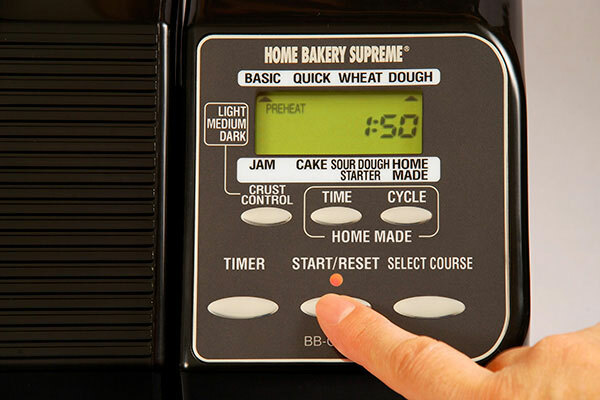 Please see your instruction manual for Home Bakery Virtuoso® Breadmaker (BB-PAC20). Follow basic steps 1-7 for making dough (see page 16 for BBCC-X20 model and page 17 for BB-CEC20 model). 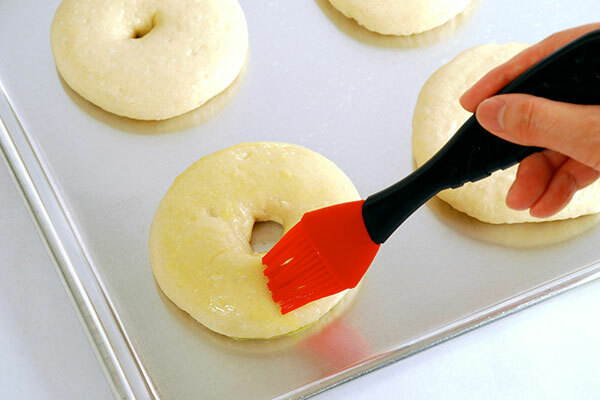 Remove dough from the Baking Pan and divide into 10 equal portions. Shape each dough into a ball, place on greased baking pan, cover with a cloth and allow to rest for 20 minutes. 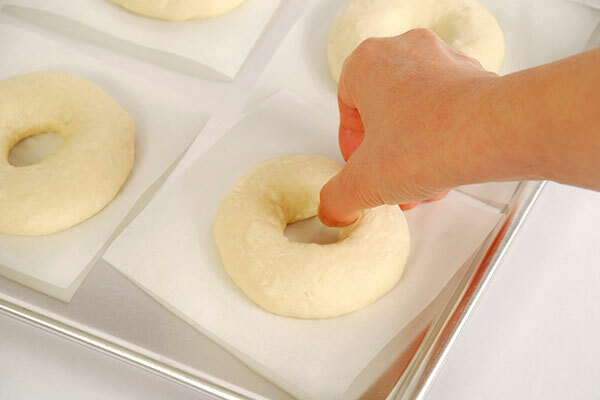 Take each dough ball and use thumb to make a 1-1/2 inch hole in the center. 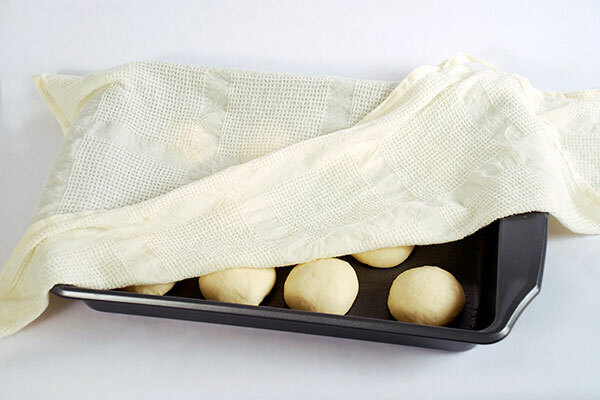 Cut 10 sheets of parchment paper, place on a baking sheet, and place dough ball onto each parchment paper. 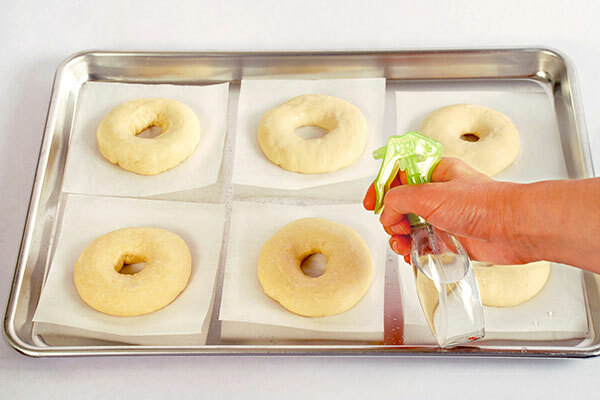 Lightly spray water on the dough and allow to rise at 95°F for 30 to 40 minutes, or until size doubles. Bring 3 quarts of water to a boil, place dough from Step 3 in the boiling water along with the parchment paper, and boil each side for 30 seconds. The parchment paper will come off during boiling. 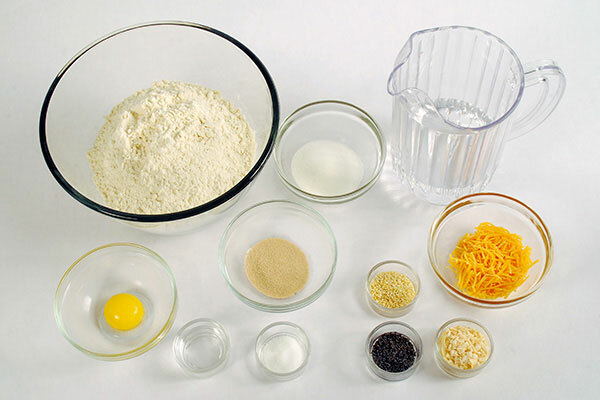 Grease baking pan, place dough from Step 4 and brush lightly with egg yolk and water mixture. 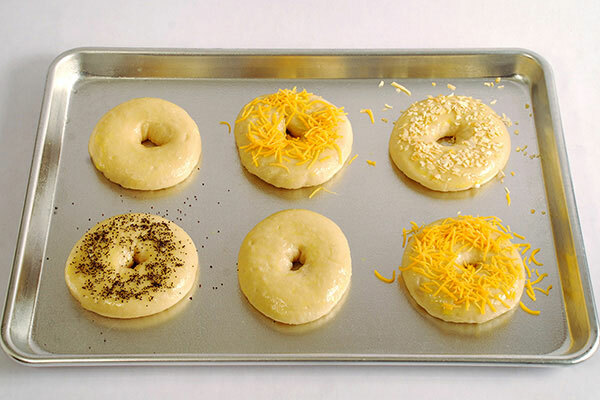 Sprinkle with poppy or sesame seeds, diced onion, garlic chips, or shredded cheddar cheese if desired. 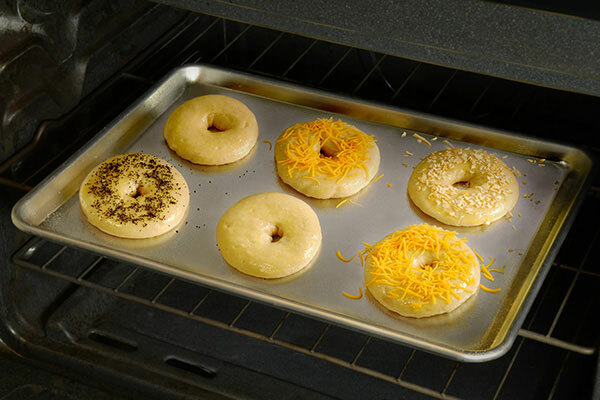 Bake at 350°F to 400°F for 15 to 20 minutes.